Hello everyone. As I officially finish University in June, the panic of how I'm going to fit everything in my room at home again has begun. Having a full room at University and then a full room at home is going to pose some problems especially when I try to fit everything in my wardrobe! My wardrobe at home was overflowing even before I went to University and proceeded to spend my student loan on more clothes from Topshop and ASOS.. so when I move back home I am going to have a serious clear out and be brutal about throwing clothes out. 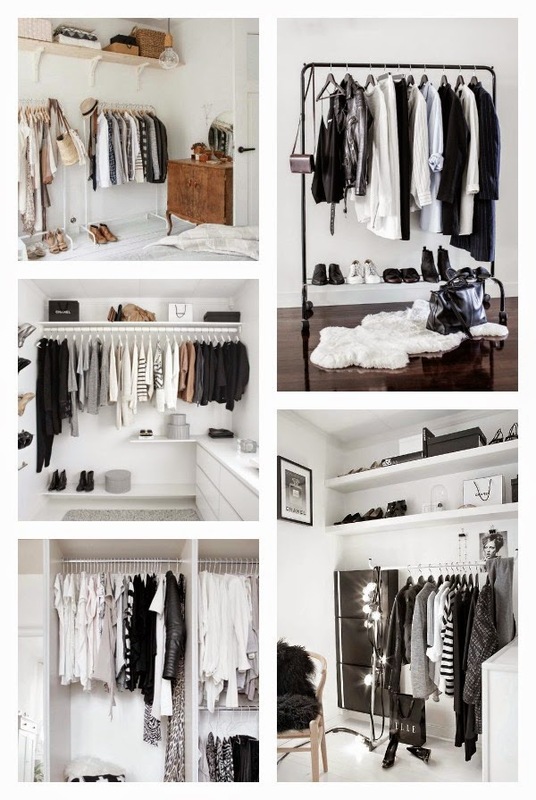 In the spirit of downsizing I thought I would do two little 'wishlist' posts, one of how I would love my wardrobe to look if I wasn't such a hoarder and then the other showing some key classic pieces that I would definitely keep in my wardrobe. All of the items of clothes are from Topshop all from the new in section so are still available to buy but obviously a lot of clothes websites and shops will sell similar things! Hope you like this sort of post!